Divine knowledge opens the path to Divine guidance. Divine knowledge means seeking and knowing self. For seeking Divine knowledge, one must be willing to explore divinity. Willing to explore divinity allows unlocking divinity within self. The first stepping stone is attuning to Reiki. I believe Reiki is a pure form of love. Attuning to Reiki is opening to the purest form of love i.e. self-love. As one enrolls in the act of self-love, one opens up to receive more and more love. As more and more love flows, limiting beliefs start melting away. One gets access to connect with the Reiki guardians and angels. This opens door to Divine guidance. For Divine guidance in every act, one can make this affirmation ‘My thoughts, words and actions are divinely.’ Call for Reiki and attune the affirmation with Reiki. This Reiki affirmation leads to Divine guidance through chakras – our body energy centres. 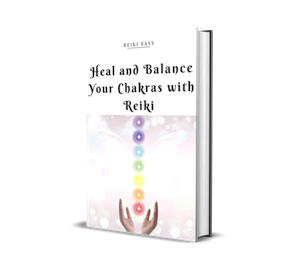 Practice cleansing and charging chakras with Reiki daily. Call for Reiki, six healing angels, and guides. Be grateful and receive blessings from your Reiki teachers. Place the right palm on the Crown chakra and left palm on the Root chakra. Draw DKM and say DKM three times, draw HSZN and say HSZN three times, draw SHK and say SHK three times, draw CKR and say CKR three times. Be in this position for 3 mins – repeat. Place right palm on the Third Eye chakra and left palm on the Sacral chakra. Keep right palm on the Third Eye chakra and left palm on the Solar Plexus chakra. Place right palm on the back of the head and left palm on the Heart chakra. Now place both the palms on the Throat chakra. Be grateful and thank self. Be grateful and thank Reiki. Root chakra – place the palm on the hips. Sacral chakra – place the palm three fingers from and below the navel. Solar Plexus chakra – place the palm three fingers from and above the navel. Heart chakra – place the palm between the breasts or middle of the chest. Throat chakra – place the palm between the collar bones. Third Eye chakra – place the palm between the eyebrows. Crown chakra – place the palm on the top of your head. If you are attuned only to Reiki I level you can continue doing just with HSZN, SHK, CKR. Many times, it may happen while doing this exercise one might fall asleep. It is completely in your good and well being to fall asleep and relax. Practicing this exercise helps to cleanse ourselves and learn to relax. Guided thoughts will produce and provide guided energy to every chakra. Further allowing Reiki to flow more & more assisting to open new ways of thinking, knowing, learning & taking action. With daily practice of this exercise, the chakras will move smoothly with Divine guidance. Prachi Durge is a chemical engineer with three years of industry experience. She is attuned to Third Degree Reiki Level 1. Prachi is now a stay-at-home-mom practicing Reiki. She is on a spiritual journey and practicing Reiki has been like a guidance to ascend further. Very beautifully explained in simple ways. Many thanks for the inspiration and guidance. Very motivated to do dear…Stay blessed.